It’s been quite some time since my last post here and even more since I host a guest writer. But I was really busy with my new product launch. Last night I had dinner with Joe Vitale and Pat O’brien. Joe’s one of those guys who could have an ego bigger than New York, but doesn’t. He’s one of brightest, most giving individuals you’ll meet. And puffs on a mean, Cuban cigar. I won’t reveal his secret here. But Joe has banged out 30 books and he literally can’t type! He hacks away at the keyboard. Joe turned his “cant’s” into “dones”. He didn’t let excuses stop him. Pat used to be a blues musician. He toured Europe a lot and had a nice following. But all that changed when he bartered guitar lessons with Joe Vitale in exchange for a ticket to his Spiritual Marketing seminar. In one weekend, he created his first product. I tell people this all the time. Creating a product doesn’t need to take forever. 99% of creating a product is in your head. It’s in the decision to do it. Pat sold more copies of his first product in a few days than he did CD’s all month long on his tours. And he could stay at home and not have the grind of travel. So Pat got into this business. Later, he penned his book Portable Empire that has been a big hit. He also holds “unseminar” seminars on marketing. Which are his own laid back version of seminars. One of the things we did last night was brainstorm a new USP or big promise for Pat. I explained to him that you can break sales letters down into direct and indirect leads or formulas, a tidbit I learned from Michael Masterson at awaionline.com. Anyway, we figured a direct lead would be best for Pat. The two direct leads you use most often are problem/solution and big promise. Neither Joe nor I really like or specialize in the problem/solution lead. So we use the big promise. I reckon we spent 20 or 30 minutes noodling around, fishing for a big idea or promise for Pat’s product. See, the concept of the portable empire is to create digital products and sell them over the Internet. But lots of people teach that. What I explained to Pat is that he needs to have a specific promise. Then take that promise and carry it through his blog, boot tiles and everything else. We finally came up with a pretty good idea for Pat. If you’ve been following me, you’ve broken down your bills into daily amounts. You know you need to generate leads via ppc, seo or an affiliate program. What’s all this talk ’bout Pat and Joe got to do with YOUR bills? Or what does it have to do with all this Twitter talk I’ve been dishin’ out? TWITTER: This is how I reconnected with Pat and Joe. I’m met both a year ago at Pat’s UnSeminar. But we lost touch. On Twitter, within a week, we reconnected. And that’s how we ended up doing dinner. Here’s my video on Tweet Deck if you haven’t seen it yet! BILLS: I told in the story above how Pat created his first product in a weekend. And he sold more of it in a few days than he normally did CDs in a whole month of touring as a blues musician. If an ex blues musician can create a product in a weekend, don’t you think YOU might be able to? And if you DO that, now what kind of impact do you think that’d have on you paying your bills? Let’s say you sell your product for $50. 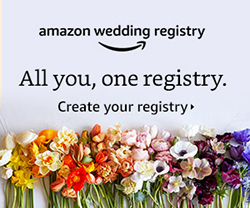 And you sell one a week. That’s a $200 bill erased. Let’s say that you promote affiliate products to the people who buy your main product. That might be another $50 or $100 a month there. So you erase another bill or two. And what happens if instead of selling 2 a week, you sell one a day. If you convert 1% of visitors to buyers, to sell one a day, you need 100 visitors a day. If you were on my Ateam call last week, you know how to use Twitter to get a lot more than 100 visitors a day. If you follow the system for converting leads to sales in rows 4 and 5 of Promo Dashboard, you’ve got a good shot at turning 10% of your leads to sales. That would mean you only need 10 or 20 visitors a day to get the sale a day. Or, if you bid on keywords on Google that have LESS than 7 ads, you’ll get clicks for whatever the minimum bid is. With a great quality score, you can get clicks for a penny to a nickel. It’s possible. People do it. I won’t say getting a great QS on Google is easy. But it can be done if you focus on it. At dinner last night, I told Joe I thought you could get good at about anything you put your mind to. He being big into the law of attraction and such agreed. One of the things I noticed last night is that I kept bouncing around from idea to idea as I’m prone to do. Joe kept coming back to the point we were discussing. It’s why I created Ockham’s Razor. You can’t see, move and finish unless you focus. You can’t focus unless you simplify. Once you simplify, you can document your systems and outsource to the Philippines as John Jonas teaches. Or, if you only want to do the SEO Lies method, Justin Brooke can teach you how to outsource that. Do you see how all this fits together? That’s why I call it Marlon’s Master Plan. It all fits together. Need to pay your bills? How ’bout following the steps in Ockham’s Razor to start? How about using Product Dashboard to create your own product and Promo Dashboard to promote it? But the people who post to my blog who DO have money, all have their own products! They DO what I teach. Watch that. Notice the difference in the blog posts between the people who HAVE money and the people who don’t. You’ll find most of the “haves” have because they HAVE their own products. And that’s why they have. Now, nothing wrong with building your list to start and promoting affiliate products. Nothing wrong with that at all. But eventually you wanna fall in the “have” category. This is the straight and narrow path. It isn’t always the easiest. My Ateamers, my folks, they follow the success path less taken. 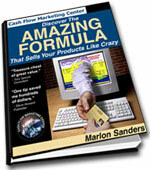 Marlon Sanders is the author of “The Amazing Formula That Sells Products Like Crazy.” Check out all his products here!